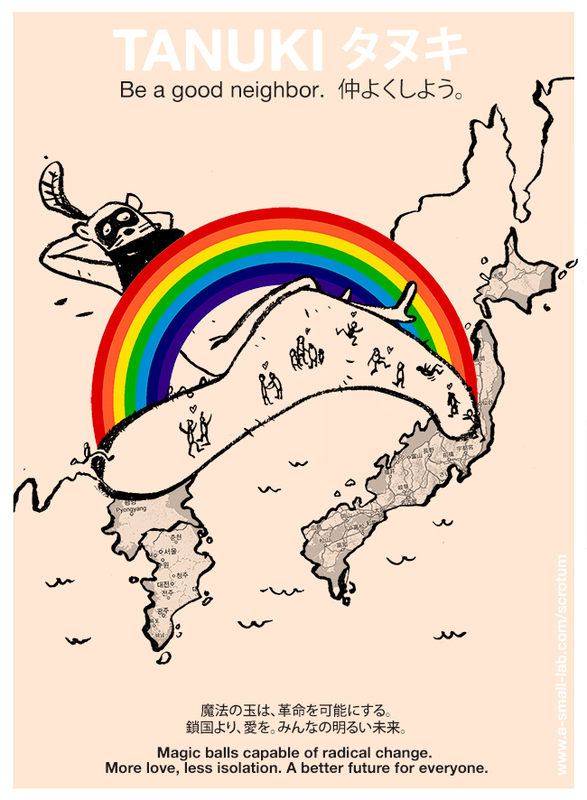 Welcome Tanuki Back to Tokyo is a project of S.C.R.O.T.U.M. 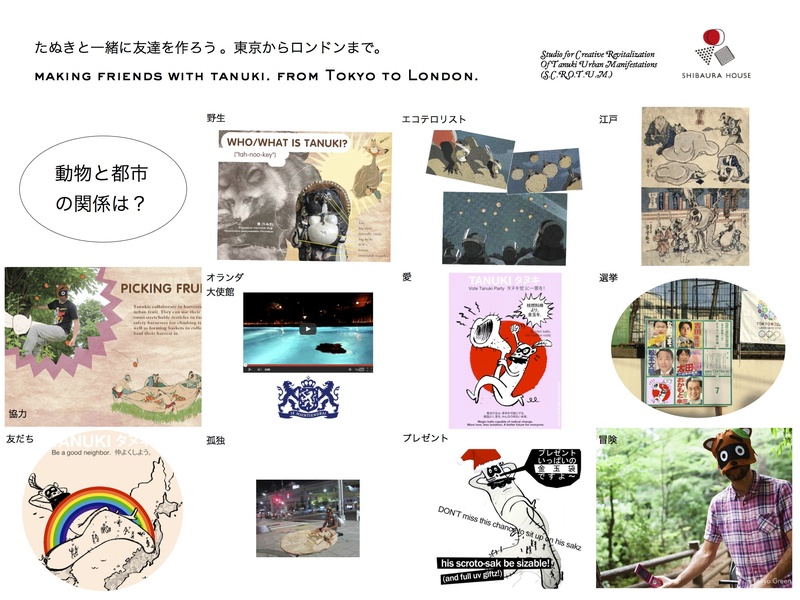 We aim to promote inter-species love, generosity, and magic by making Tokyo hospitable again for this mythic and real animal. 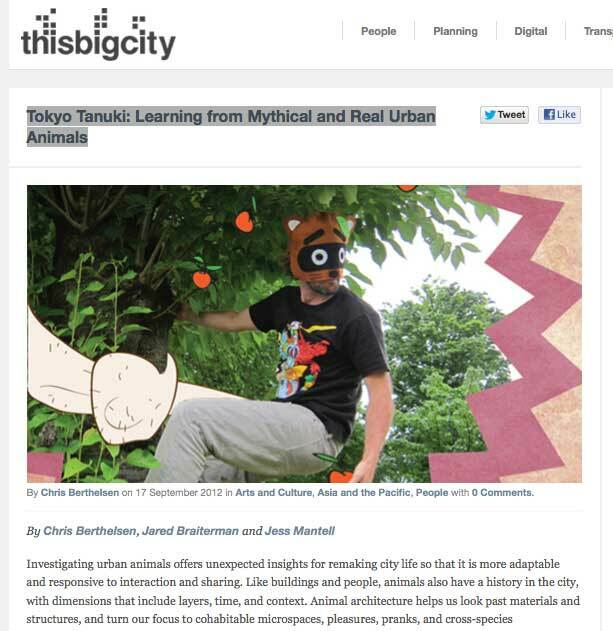 Tanuki’s scrotal sack transforms into countless urban, agricultural, and communal tools. 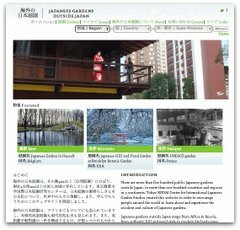 Learn more about Let’s Welcome Tanuki Back to Tokyo in This Big City blog, co-written with Chris Berthelsen and Jessica Mantell. Illustrations by Luis Mendo! 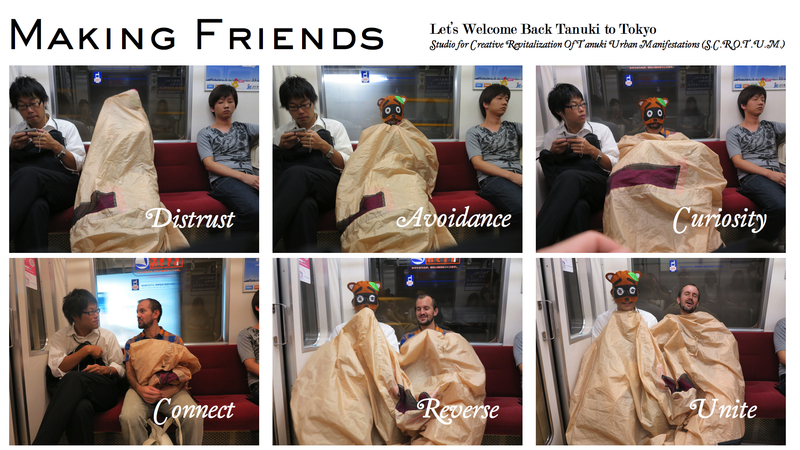 Making Friends was a true, inter-species encounter in the Tokyo Metro. 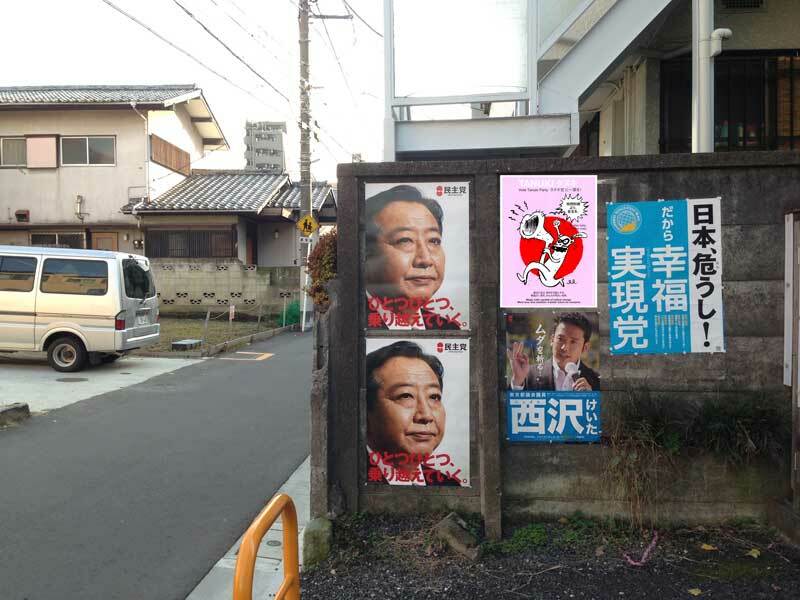 Running for next leader of Japan. More love, less isolation. 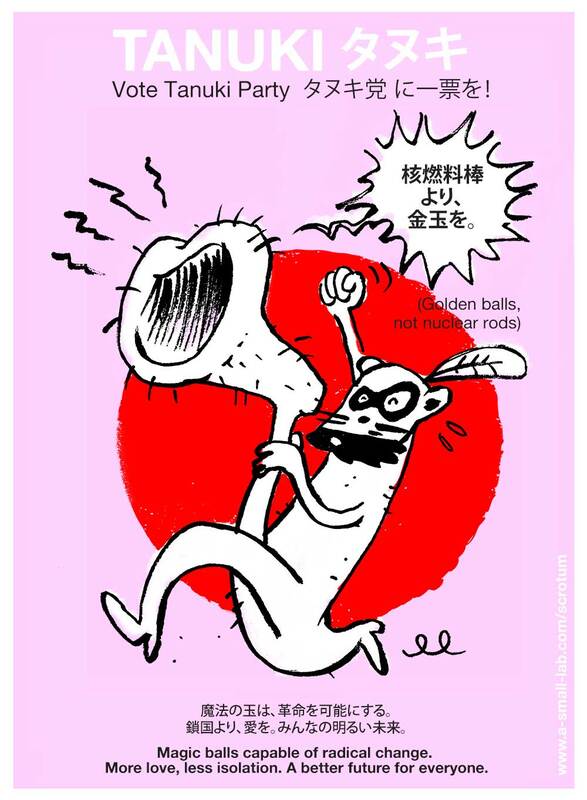 Golden balls, not nuclear rods. A better future for everyone. 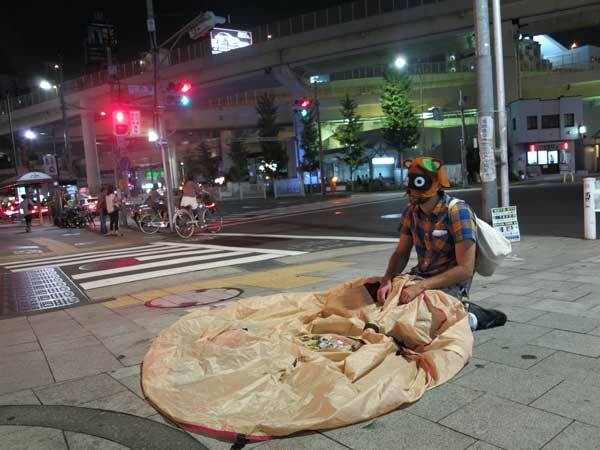 Tanuki offers candy to strangers, but people ignore him. Check out this 2 minute video.